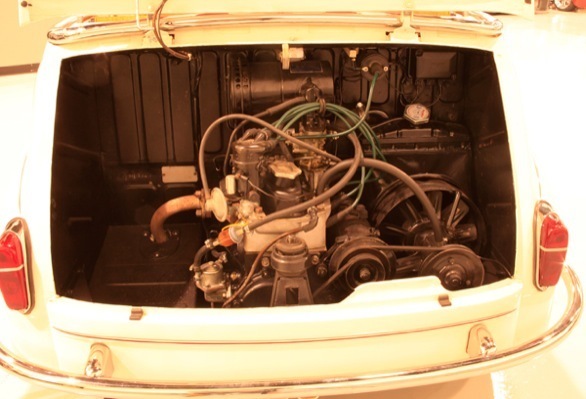 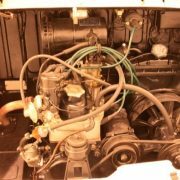 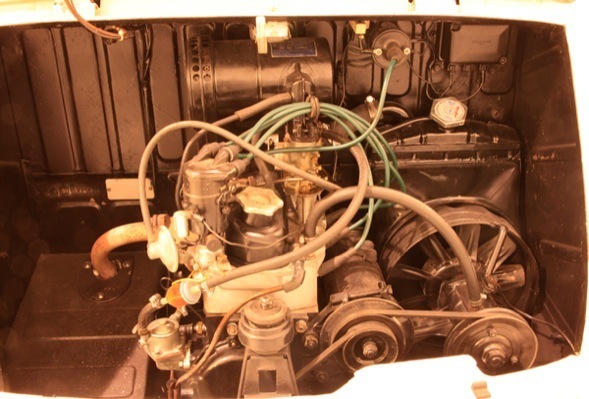 Completely Totally Restored Including engine overhaul. 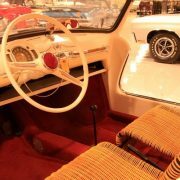 Virtually “NO” milage since restoration. 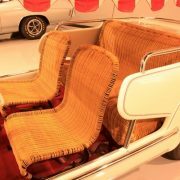 Wicker seats re-built. 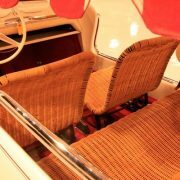 All Chrome re-plated. 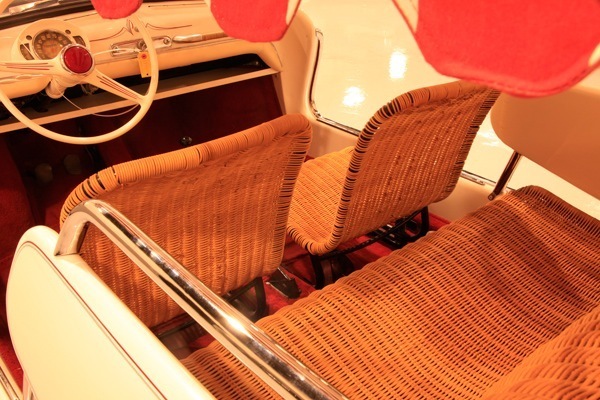 Custom hand painted pinstripes. 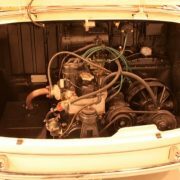 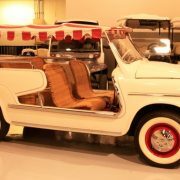 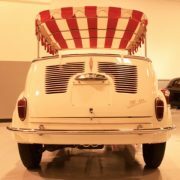 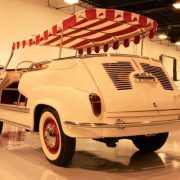 Exceptional Restoration, Remarkable, Ver Collectible and Rare car.. Drives 100%, genuine Original Jolly, Only 8,000 Miles. 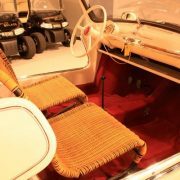 Will not find a nice one anywhere ! 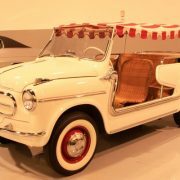 Runs like a Top ! 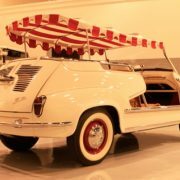 Any Collector of Rare Cars, this is a MUST Have !! The “Jolly” name is obvious… When driven, it makes everyone Smile !! 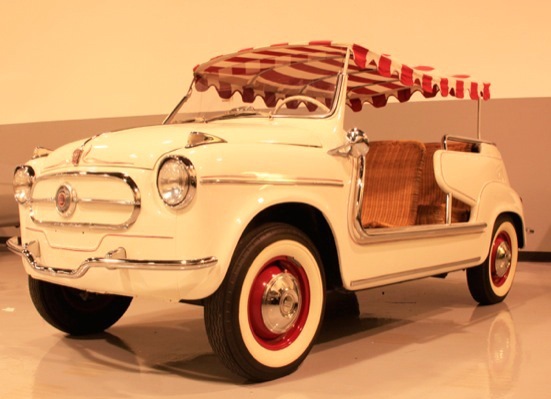 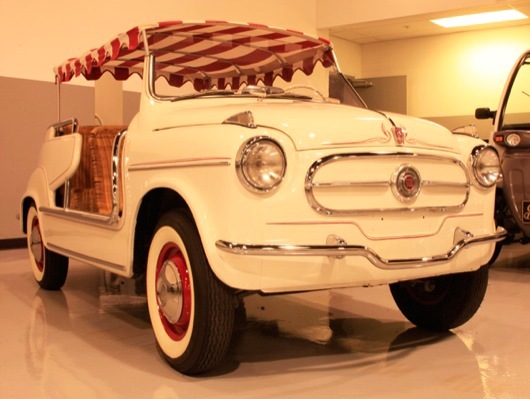 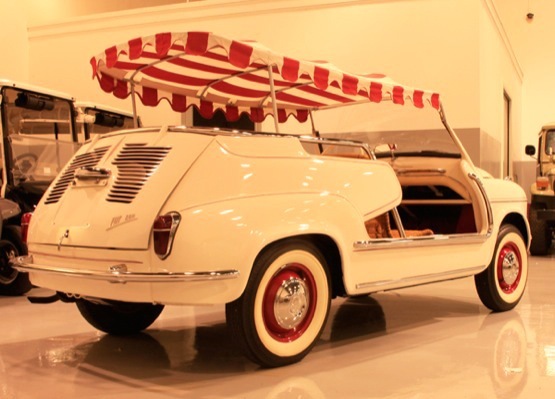 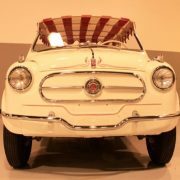 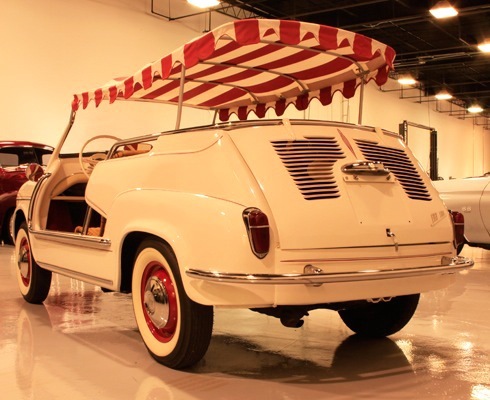 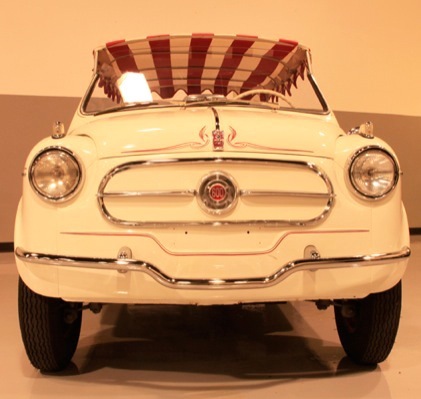 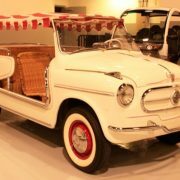 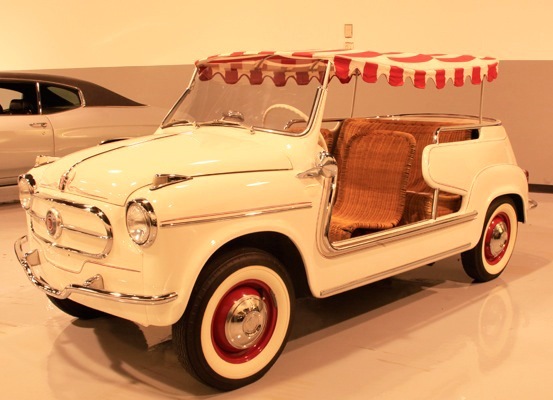 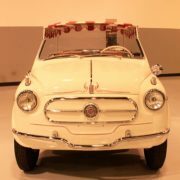 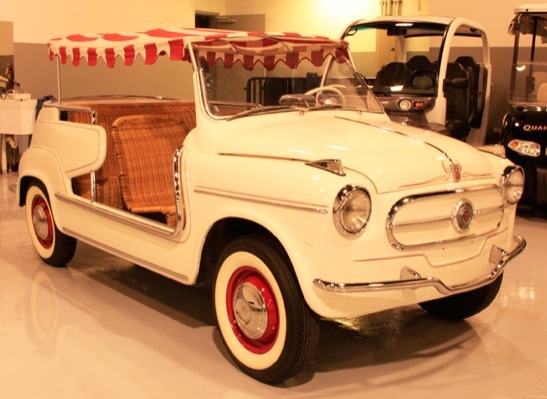 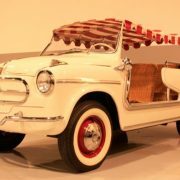 In 1958 Fiat shipped a number of Fiat 600s to the Italian design house Ghia for conversion into the Jolly. 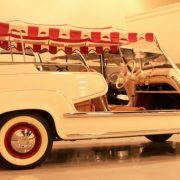 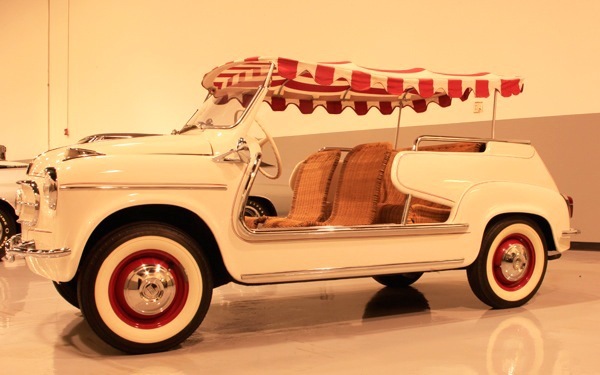 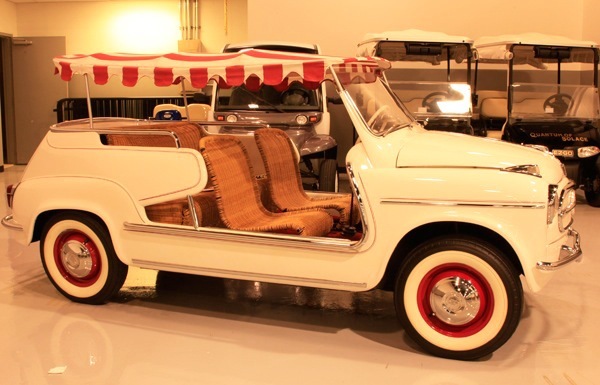 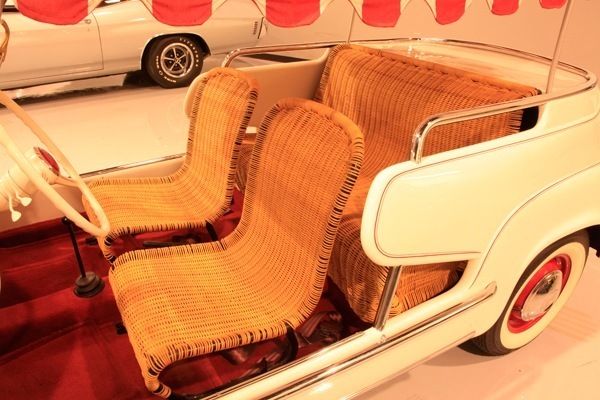 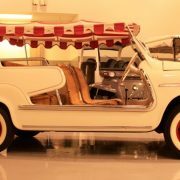 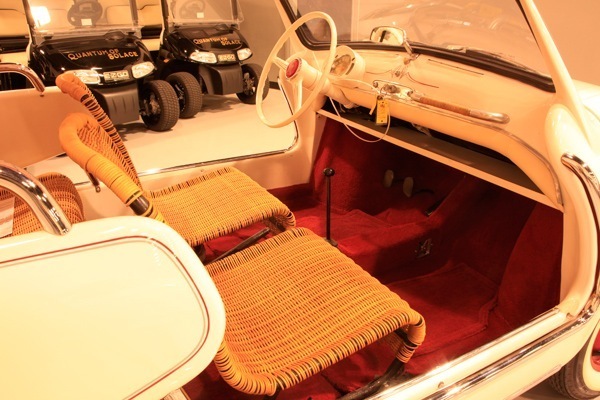 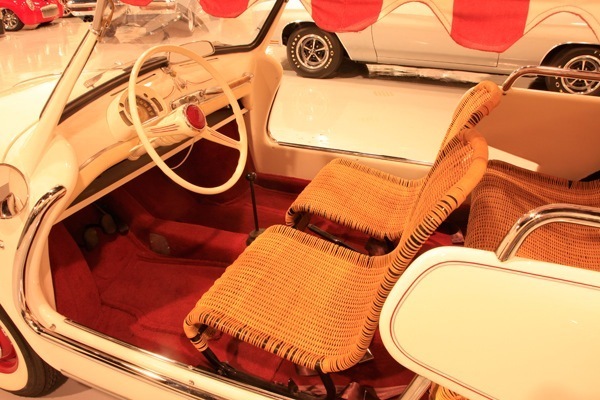 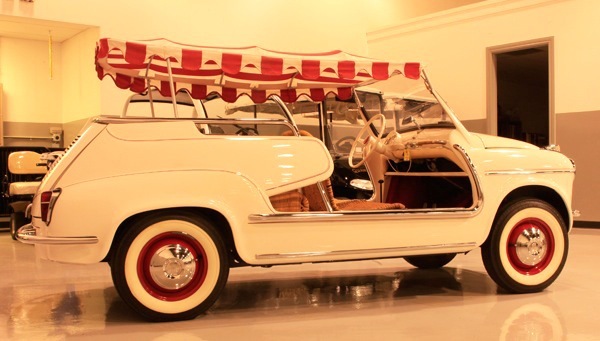 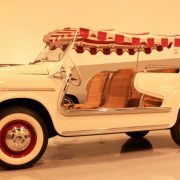 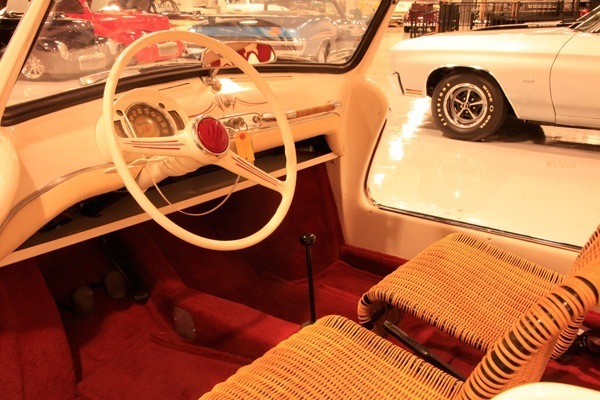 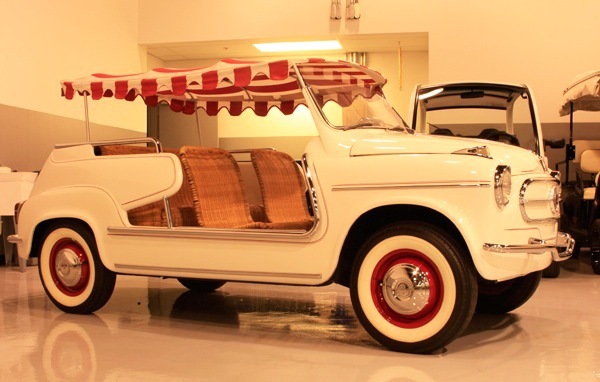 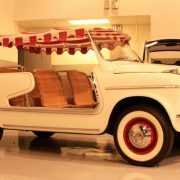 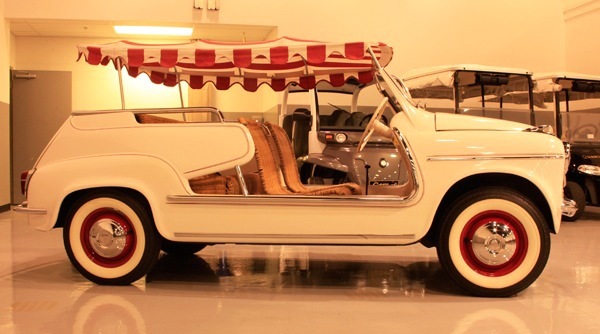 Featuring wicker seats and the option of a fringed top to shield its occupants from the Mediterranean sun, these cars were originally made for use on large yachts of the wealthy (Aristotle Onassis owned one). 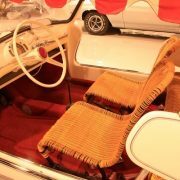 With a cost of nearly double that of a standard “600”, they were made in a very limited production. 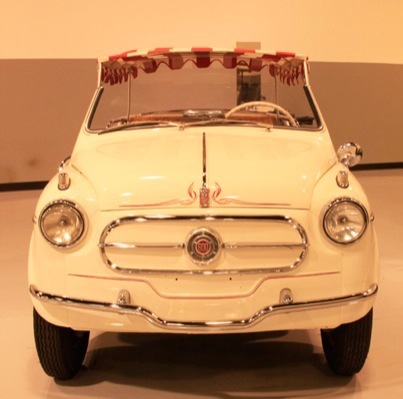 It is believed that fewer than 100 exist today, each one being unique. 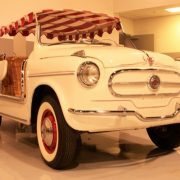 32 Jolly cars were used as taxis on the island of Catalina off the coast of Los Angeles in the USA in the years 1958-1962.